The term ‘SkyRadar’ or ‘us’ or ‘we’ refers to the owner of the website whose registered office at Caller Weg 48. 58636 Iserlohn, Germany. The term ‘you’ or ‘your’ refers to the user or viewer of our website. It is assumed that users employed by or agents of Companies or enterprises have the appropriate knowledge and are acting as representatives of the Company or Enterprise. All content (text and images) used in this website is used on the assumption that it is accurate and that respective licenses and rights are properly taken care of. If for any reason we have used material inappropriately we will, when informed (via info@sky-radar.com) take immediate action to correct any errors or omissions. Your use of this website and any dispute arising out of such use of the website is subject to German law. SkyRadar may suspend the operation of this website in full or in part at any time. 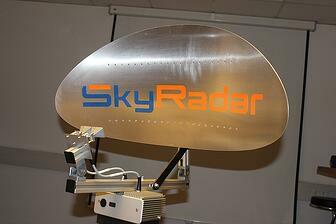 In addition, we do not accept any liability for the continuous availability of the SkyRadar website.